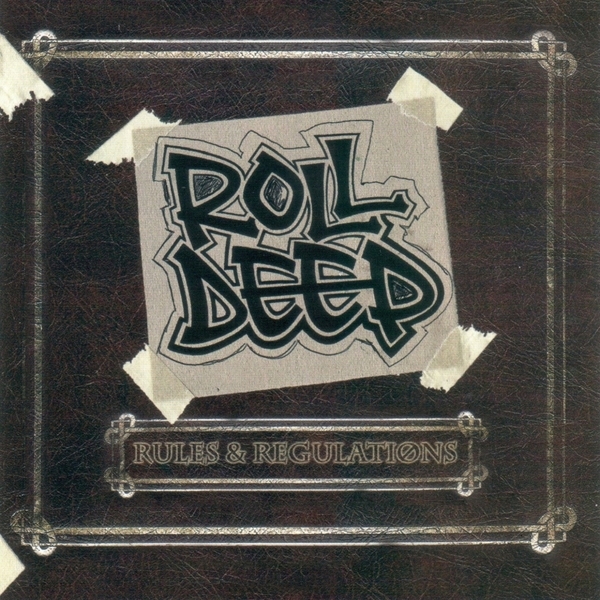 Having apparently been dropped from their label in favour of KT Tunstall, Roll Deep have decided to take things back to the manor with 'Rules & Regulations' being released on their eponymous label. One of the first crews to emerge from the grime scene that seriously threatened the mainstream, Roll Deep are probably best known for having spawned the twin titans of Wiley and Dizzee Rascal. With the latter of these well and truly estranged, the latter is back on beat-smith duty alongside Target, Danny Weed and Chunky Bizzle; bucking the age-old adage about "too many cooks" with a varied palate of sounds which perfectly compliment the roaming vocals that roundly batter the top end. Kicking off with 'Flame Grilled Whopper', the Roll Deep Crew all get introduced in classic Elvis style before launching head-first into some hyperkinetic rhymes that see the full requisite getting chatty on the mic. Fuelled by Wiley's trademark melodies, 'Flame Grilled Whopper' slowly mutates as tribal rhythms batter the extremities and the Grime wit shines through with Anglo-centric force - proclaiming "I'm not a geek like Jarvis Cocker, I'm dodgy like Derrick Trotter". As ever, the over-arching aesthetic is one of barrel-chested bravado - yet where Roll Deep really stand out is when they juxtapose this metal-toothed grin with moments of real maturity and grace. A case in point is the following noir-electro morality tale of 'Badman' - wherein some incisive discourse on the travails of living the gangster life is delivered with wit, humility and not a trace of hypocrisy. Already attracting some flack for their stance from certain quarters of the community, 'Badman' and 'Racist People' show that there's more to Grime than may have initially met the eye - with a display of maturity that is double welcome. With Jammer and Skepta also popping up as part of the family, tracks like 'Weed Man', 'Penpals' and 'Do This Ting' fizz by with all the energy and sonic might you could wish for, reasserting Roll Deep's place at the Grime top table.